Our Board of Directors is made up of the best and brightest leaders from across Michigan. These individuals hail from a broad array of industries, from academia to law, food service to retail. This core team governs the Diversity Council and sets the strategy for key initiatives and goals for the council. Each member of the Diversity Council’s Board of Directors shares a common desire to expand the reach of the Council and help drive its mission and vision of diversity and inclusion in businesses, communities, and schools. If your organization is interested in having a representative on our board of directors, please contact Darlene King at [email protected]. 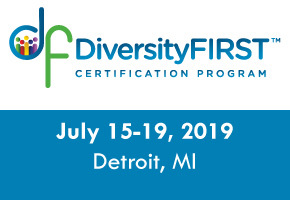 Our Michigan Diversity Council advisory board is composed of volunteers who help to facilitate our different events and programs in our local markets. If you are passionate about diversity, we encourage you to lend your talents and skills. There is no cost to join. Members of the Advisory Board have to commit 60 hours a year to the progress of the Michigan Diversity Council. These hours are done on your own time and do not require travel. If you are interested in being a representative on our advisory board, please contact Darlene King at [email protected]. Privacy · Copyright © 2019 Michigan Diversity Council. All rights reserved.